Just wanted to share my bottle tree with everyone. This was a gift from my parents a few years ago at Christmas. I love it so much. It makes me happy every day when I pull into the driveway. It is made of welded rebar and collected bottles. I like think of this as my yard art. 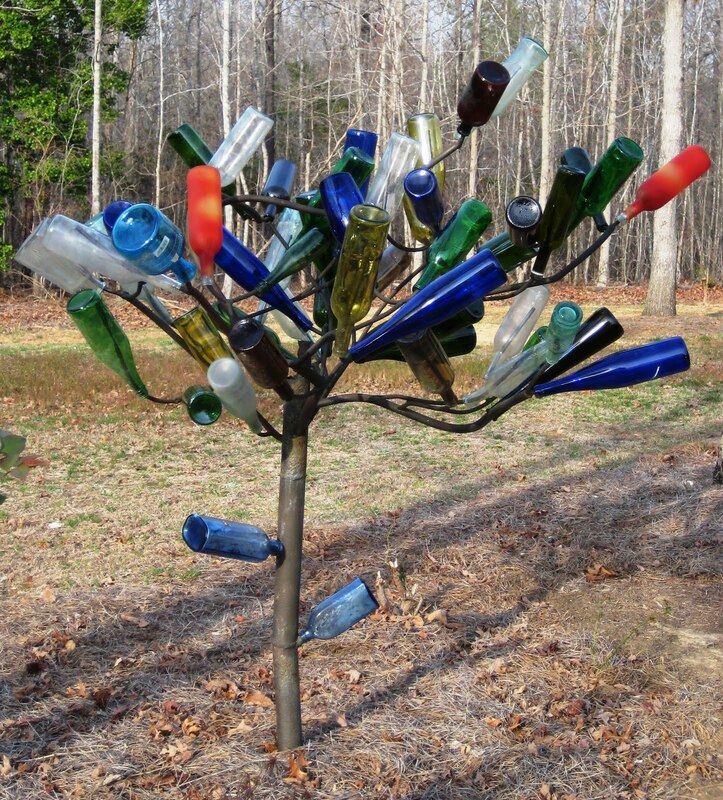 I have heard/read that bottle trees started because it is said that evil spirts get caught inside the bottles so it is good luck to have one. I read a really good book that reflected on that theory..."On Folly Beach" I highly reccommend it for a summer read. April, I LOVE this. 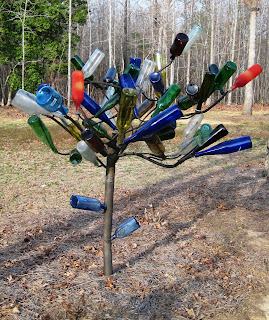 I've been wanting a bottle tree for ages...yours turned out great! I love bottle trees! I need one too. oh yes, it's definitely yard art. i love how funky it is-what a great piece! It's great, I get comments all the time from neighbors and visitors. All you need is a good welder and you can have one made, the guy that made mine did an excellant job. 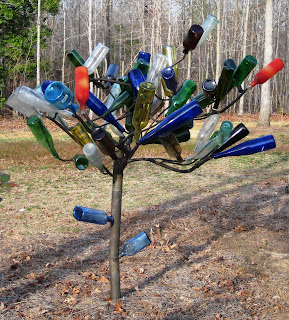 Love bottle trees and every year I say I'm going to make one, but for some reason I never get it done. This may be the year. Yours is great and they always make me smile.Thanks for recommending "On Folly Beach".I'll be sure to look for that one. I have never seen a bottle tree before . . . what a fun piece of art for your yard. It would cheer me, too.